Spam has become a severe issue for administrators, not only for mail server admins but also for webshosting adms. Even the most secure spam protected mail server can get affected by spam due to fact it is configured to relay mail from other servers acting as web hosting sites. Webhosting companies almost always suffer seriously from spam issues and often their mail servers gets blocked (enter spam blacklists), because of their irresponsible clients uploading lets say old vulnerable Joomla, WordPress without Akismet or proper spam handling plugin,a CMS which is not frequently supported / updated or custom client insecure php code. What I mean is Shared server A is often configured to sent mail via (mail) server B. And often some of the many websites / scripts hosted on server A gets hacked and a spam form is uploaded and tons of spam start being shipped via mail server B. Of course on mail server level it is possible to configure delay between mail sent and adopt a couple of policies to reduce spam, but the spam protection issue can't be completely solved thus admin of such server is forced to periodically keep an eye on what mail is sent from hosting server to mail server. Precious tool in tracking spam issues is a PHP Mail.log parameter, mail log paramater is available since PHP version >= 5.3.0 and above. PHP Mail.log parameter records all calls to the PHP mail() function including exact PHP headers, line numbers and path to script initiating mail sent. File has to be writtable to same user with which Apache is running in case of Apache with SuPHP running file has to be writtable by all users. On some other distros it might be chown nobody:nobody etc. depending on the user with which Apache server is running. mail() on [/var/www/pomoriemonasteryorg/components/com_xmap/2ktdz2.php:1]: To: demil7167@yahoo.com — Headers: From: "One Day Shipping" <status_44@pomoriemonastery. mail() on [/var/www/pomoriemonasteryorg/components/com_xmap/2ktdz2.php:1]: To: domainmanager@nadenranshepovser.biz — Headers: From: "Logistics Services" <customer. 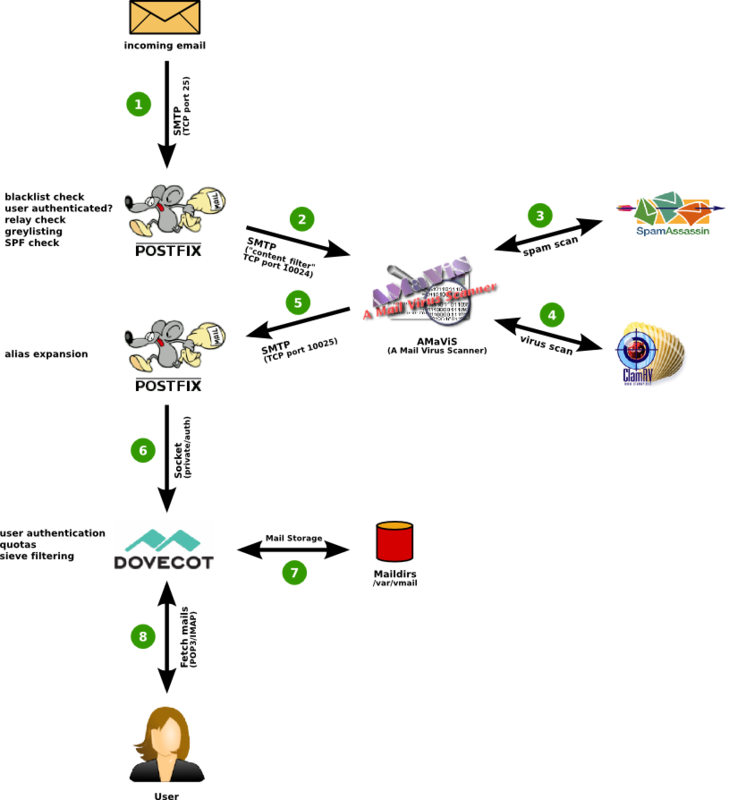 I find it useful to symlink /etc/php5/apache2/php.ini to /etc/php.ini its much easier to remember php location plus it is a standard location for many RPM based distros. mail() on [/var/www/remote-admin/wp-includes/class-phpmailer.php:489]: To: theosfp813@hotmail.com — Headers: Date: Mon, 14 Apr 2014 03:27:23 +0000 Return-Path: wordpress@remotesystemadministration.com From: WordPress Message-ID: X-Priority: 3 X-Mailer: PHPMailer (phpmailer.sourceforge.net) [version 2.0.4] MIME-Version: 1.0 Content-Transfer-Encoding: 8bit Content-Type: text/plain; charset="UTF-8"
mail() on [/var/www/pomoriemonasteryorg/media/rsinstall_4de38d919da01/admin/js/tiny_mce/plugins/inlinepopups/skins/.3a1a1c.php:1]: To: 2070ccrabb@kiakom.net — Headers: From: "Manager Elijah Castillo" <elijah_castillo32@pomoriemonastery.org> X-Mailer: Mozilla/5.0 (Windows; U; Windows NT 5.0; es-ES; rv:1.9.1.7) Gecko/20100111 Thunderbird/3.0.1 Reply-To: "Manager Elijah Castillo" <elijah_castillo32@pomoriemonastery.org> Mime-Version: 1.0 Content-Type: multipart/alternative;boundary="———-1397463670534B9A76017CC"
mail() on [/var/www/pomoriemonasteryorg/media/rsinstall_4de38d919da01/admin/js/tiny_mce/plugins/inlinepopups/skins/.3a1a1c.php:1]: To: 20wmwebinfo@schools.bedfordshire.gov.uk — Headers: From: "Manager Justin Murphy" <justin_murphy16@pomoriemonastery.org> X-Mailer: Opera Mail/10.62 (Win32) Reply-To: "Manager Justin Murphy" <justin_murphy16@pomoriemonastery.org> Mime-Version: 1.0 Content-Type: multipart/alternative;boundary="———-1397463670534B9A7603ED6"
mail() on [/var/www/pomoriemonasteryorg/media/rsinstall_4de38d919da01/admin/js/tiny_mce/plugins/inlinepopups/skins/.3a1a1c.php:1]: To: tynyrilak@yahoo.com — Headers: From: "Manager Elijah Castillo" <elijah_castillo83@pomoriemonastery.org> X-Mailer: Mozilla/5.0 (Macintosh; U; Intel Mac OS X 10.5; pl; rv:1.9.1.9) Gecko/20100317 Thunderbird/3.0.4 Reply-To: "Manager Elijah Castillo" <elijah_castillo83@pomoriemonastery.org> Mime-Version: 1.0 Content-Type: multipart/alternative;boundary="———-1397463670534B9A7606308"
mail() on [/var/www/pomoriemonasteryorg/media/rsinstall_4de38d919da01/admin/js/tiny_mce/plugins/inlinepopups/skins/.3a1a1c.php:1]: To: 2112macdo1@armymail.mod.uk — Headers: From: "Manager Justin Murphy" <justin_murphy41@pomoriemonastery.org> X-Mailer: Mozilla/5.0 (Macintosh; U; Intel Mac OS X 10.5; pl; rv:1.9.1.9) Gecko/20100317 Thunderbird/3.0.4 Reply-To: "Manager Justin Murphy" <justin_murphy41@pomoriemonastery.org> Mime-Version: 1.0 Content-Type: multipart/alternative;boundary="———-1397463670534B9A76086D1"
It is generally useful to also check (search) for all hidden .php files inside directoring storing multiple virtualhost websites, as often a weirdly named hidden .php is sure indicator of either a PHP Shell script kiddie tool or a spammer form. Debugging via /var/log/phpmail.log enablement is useful but is more recommended on development and staging (QA) environments. Having it enable on productive server with high amounts of mail sent via PHP scripts or just on dedicated shared site server could cause both performance issues, hard disk could quickly get and most importantly could be a severe security hole as information from PHP scripts could be potentially exposed to external parties. Before time there was a separate Debian repository called Volatille providing latest version release of Clamav, since Debian Squeeze Volatille project is discontinued, thus installing on Wheezy as a deb package is only available via standard Debian repositories. Its worthy say few words on clamav-freshclam as it is part of ClamAV which is used to update Clamav Virus definitions. Update of ClamAV vir definitions are updating automatically through /usr/bin/freshclam daemon which is started automatically by Debian postconfiguration scripts right after Clamav install. Manual update of AV definitions can be done also with freshclam. Other value I like changing is SelfCheck 3600 is too long time for clamav Virus definitions integrity I prefer to set it to 600, i.e. Whether you're on a physical server console and it has pc speaker or sound blaster use –bell option to ring a bell every time a Virus infection is found, for exmpl. I have recently installed Postfix on a server following WorkAround.org ISPMail Tutorial on Debian Wheezy Linux 7. Officially as you can see on their website there is no official guide still for Debian Wheezy yet. Therefore my only option was to follow ISPMail tutorial using Postfix 2.7 (Debian Squeeze). It was quite a struggle to adapt tutorial for Squeeze deb to Wheezy and it took me an overall time of about of week (each day spending few hours trying to make various components of tutorial) work. But finally I managed to install it. This is how this article got born in hope that in future it will help others have a decent Postfix install on Wheezy..
For those unfamiliar with Workaround.org's ISPMail Postfix Tutorial it is pretty much standard step-by-step installation guide for dummies similar to QmailRocks.org or Thibs QmailRocks Updated Installation Guide. drwx—— 4 vmail vmail 4096 jul 29 09:15 .
drwx—— 3 vmail vmail 4096 jul 29 07:20 ..
[ ok ] Restarting IMAP/POP3 mail server: dovecot. I tried with ISPWebadmin and VEA, but only one that worked for me is MATv1.1. 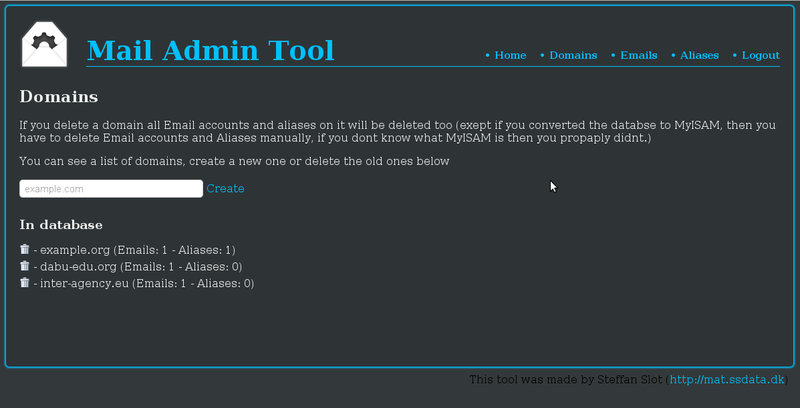 Actually I liked a lot Mail Admin tool it is simple and does support; create new mail domains, create new users in domains and add user aliases. and set (Default Folder Prefix) to 'none'. pc-freak.net mail is handled by 0 mail.pc-freak.net. 76.93.228.83.in-addr.arpa domain name pointer pc-freak.net. Again for sake of testing you see pc-freak.net has defined MX with priority of 0 (which in those case is highest), since there are no other defined MX domains and priorities. It is good practice that domain name has also proper SPF record this is done with DNS server zone record of type TXT. Once again here is SPF record defined for pc-freak.net. pc-freak.net descriptive text "spf1 a mx ptr ip4:83.228.93.76 -all"
First line command returns is actually Domain DKIM key. I tried configuring DKIM keys following ISPMail tutorial unsuccesfully so by installing Postfix by my tutorial you will not have to have DKIM keys (soft) installed or TXT records for Domain Keys defined. Note that after writing the email you have to press "." and then Enter to send the mail. As you see from above output gmail server returned status of "Success" – 250 2.0.0 Ok: quequed as 0D323662499 – this means email is delivered OK and if the mail server IP from which you're sending is not listed in some Mailserver IPs Blacklist mail should arrive in a sec. Even though Qmail is considered as obsolete email server lately and it lacks good systematical official documentation and requires a lot of "hacking" to make work. It is surely still the fastest and maybe securest mail server out there (if properly configured). 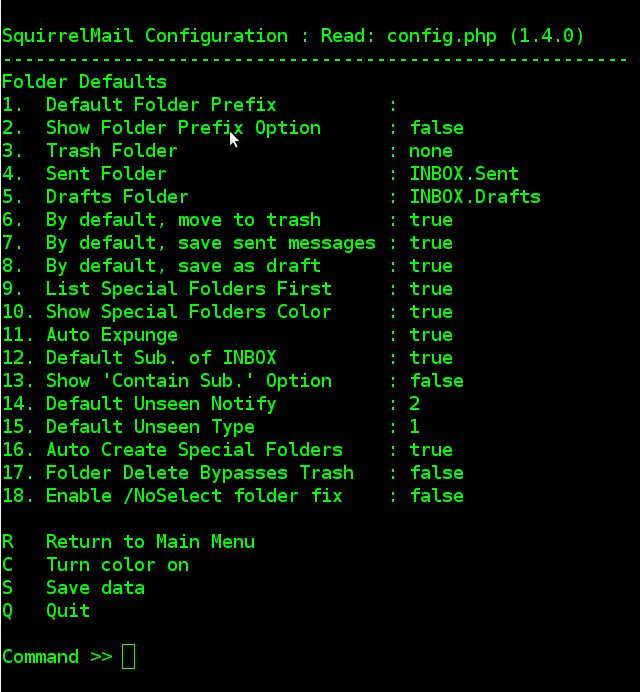 My Qmail uses Vpopmail (for Virtual Email hosting). Every now and them some client requires to add a new e-mail forwarding from E-mail mail@host.com to Email to mail1@host2.com. Though many like to use Web interface as QmailAdmin for adding the forward I still prefer do it via old fashioned way, by SSH-ing to qmail server host and manually creating .qmail file. First file instructs, where to store a copy of received e-mail (copy is stored in Maildir of receipt e-mail). An error occurred while sending mail. The mail server responded: sorry, that domain isn't in my list of allowed rcpthosts (#5.7.1). The mail server responded: sorry, that domain isn't in my list of allowed rcpthosts (#5.7.1). 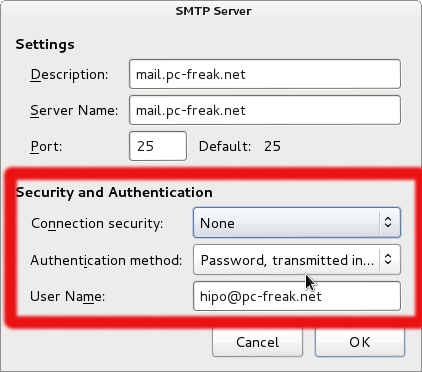 Is caused often by SMTP Server "incorrect" SMTP setting in Thunderbird. 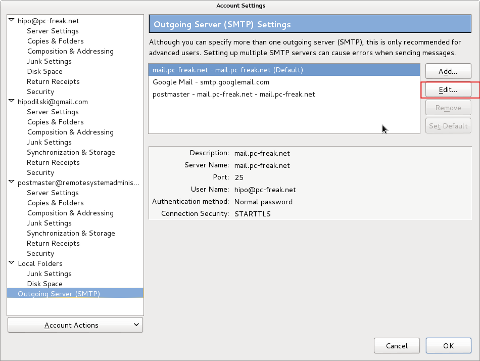 Below are screenshot of my Thunderbird (Icedove), SMPT (Mail server) settings, causing the cryptic error message. To finalize and, restarting Thunderbird is necessary. After that sending mail via Mail server works like a charm. sorry, that domain isn't in my list of allowed rcpthosts (#5.7.1). Sending mail client or user is not authorized to deliver to mailbox to whose delivery is attempted (in my case to Gmail.com). This message pops-up because the SMTP Mail server is configured properly and not Open Relay host. I needed to configure mail forwarding from one Postfix mail server with a correct MX and PTR record to another one for a reason the second mail server has filtered port 25, because of ISP policy. As it is recommended in such situations, I've configured mail forwarding from postfix host1 to host2 to use (submission) port number 587 which general purpose is for exactly situations like this. Mail forwarding is done via a simple /etc/postfix/main.cf, /usr/local/etc/postfix/main.cf (depending where Postfix is installed).